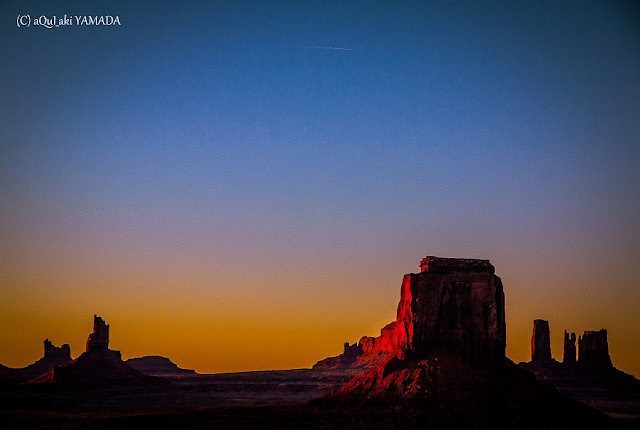 Note that the entire Navajo Nation observes Mountain Daylight Savings Time from April through October, putting it one hour ahead of the time in other Arizona locations, or the same time as Utah. Archaeological evidence indicates that the ancient Anasazi people inhabited the valley until AD 1300. Today over 100 sites and ruins have been found dating from these ancient people, including rock art. The Anasazi abandoned the area in the 1300's, leaving it empty of humans until the arrival of the Navajo. The valley has wide a assortment of vegetation including, Juniper trees, yucca, Russian thistle (Tumbleweed) and Navajo Tea to name just a few. Much of the vegetation is still used by the Navajos for medicinal purposes, and as dyes for their world famous hand-woven rugs. Temperatures range from the upper 80's to low 90's in the summer. The winters are mild ranging from the upper 40's to mid 50's. Summer nights are cool and comfortable. Winter lows are generally in the mid to upper 20's. The summers are dry except during the monsoon season — beware of flash flooding during this time. Winters see some snow, which brings out the spectacular colors of the valley. Goulding's Lodge has a restaurant, the park's visitor center sells snacks, and there may be stands around the park offering Navajo fry-bread and other items. The View Restaurant is located at the visitor center, and is open for 3 meals, serving American and traditional Navajo cuisine. Drinking water and other beverages are available at the visitor center and at the campground store. There are no other water supplies in the valley, so be sure to carry enough with you. Note that alcoholic beverages are prohibited on Navajo lands.